24 Things the Media Claim Were Caused by ‘Global Warming’ | Watts Up With That? Your breakfast got even less exciting. Your morning coffee is going to be more expensive. Also, the cost of cereal could climb by as much as 30 percent because of global warming according to an Oxfam report(their recommendation to General Mills and Kellogg’s: “intensify” effort to cut greenhouse gases, which ironically would also likely increase the cost of cereal and beverages). Thankfully, populations of feral cats and dogs are liable to increase, and these could suffice as possible “bridge food” for climate change refugees. History and culture have been redefined. Leonardo DiCaprio’s Jack Dawson didn’t make it off the Titanic in 1912 thanks to global warming. Two years later the world engaged in WWI, followed by the Great Depression, and WWII, all of which apparently slowed the pace of global warming. In current cultural events, the arts world has been subjected to climate change…the musical. And a horror movie. Some congregations have been subjected to a new topic for bad sermons. And employees are less productive at work. America’s adversaries have been aided. Climate change has boosted Russian rice, corn and sunflower seed crops and promises to unlock some of the natural resources trapped in Siberian permafrost. And rather than failed diplomacy, climate change was the catalyst for Boko Haram. Meanwhile, North Korea has emerged as an example of combating climate change. Nature got a little bit wilder. Salamanders are shrinking in size, but the return of bus-sized snakes is more likely. Meanwhile the coquis frog in Puerto Rico croaks a little higher, butterflies in Ohio are showing up a bit earlier, and there is an abundance of rock snot in West Virginia streams and not enough tissues to deal with it. It also has been discovered that global warming killed a 16-year-old polar bear (even though the average lifespan of a polar bear is 15-18 years). Vacation plans are being ruined. Airline passengers might want to use those seatbelts on their next flight because of greater turbulence. Thanks to global warming, life in Asia is generally miserable and England will be too wet, and too dry…and too cold…and too hot. That hike you may have been planning to the peak of Mt. Everest will be harder, in case it wasn’t hard enough already, and out of good eco-conscience you probably shouldn’t run another marathon because of all the unnecessary CO2 emissions. And the migration of the Baird’s sparrow away from North Dakota to Canada is threatening to cut into the hordes of tourists coming to bird watch. Now that’s a real problem—one Congress actually can do something about. June 22, 2014 in Alarmism. Four billion years is enough! Stop cyclical global climate change now! Check put numberwatch blog. My tablet won’t allow me put in the address. Apparently, cereals will stop growing only in the USA/Canada and in western Europe. In Russia, on the other hand, cereals will grow more, also because of global warming. CO2 is only poissonous for plants in occident. In the Eastern World CO2 is the source of Carbon and Oxygen as usual. And their growth follows a Michaelis Menten kinetics, as usual. Is this the one you’re referring to? Seems to me the only thing not due to AGW so far is ingrowing toenails. But if someone gives me a grant I guess I can research that, and if the grant is big enough I can prove the link. Obama has found a reason for the upcoming inflation and monetary devaluation -> Climate Change. The future increase in prices couldn’t possibly due to the Democratic/Obama/Federal Reserve monetary policy, could it???? Oh, I forgot to list the EPA and their Draconian coal policy which will cause energy prices to soar. This is another Democratic/Obama policy. Obama even stated that he wanted $4 to $5 dollar a gallon gasoline. Remember when Bush was crucified for gasoline hitting $1.84 a gallon??? Note that gasoline and food are not included in the immoral calculation of inflation!! I just had to click on the “Rock Snot” link. My personal favorite was the article I found that linked the drop in tourism in Pakistan in 2008 to Climate Change. No, congress has no ability to do anything about the politics and pending forced rules of catastrophic human-driven climate change. Only voters have that power and many are not willing to use that power to stop this madness, preferring obligation-attached handouts and a caretaker inhibiting nanny to the hard work and personal responsibility of freedom. I live in the Northern Hemisphere, but make my living in the politically enlightened (NO Carbon Tax) Southern Hemisphere so I can compensate any shortfall in QOL with cash? in the article “rock snot” is described as looking slick and slimy, but in reality has a rough, cottony feel. It comes in shades of light brown and white, and it covers river rocks in thick mats. Only reason I mention it, sounds like a harvestable resource. Oh and another thing – rock snot is a native species of algae that is interfering suddenly with the recreational activity of fishing for non-native trout which are stocked by government action. And the reason rock snot has suddenly bloomed up into an issue? Remember back when the enviro lobby insisted that coal power was causing acid rain that in turn caused some streams to have a high acid content? Well mitigation , ie: adding lime to the headwaters of streams to cut the acidity back allows the perfect water conditions for Rock Snot to flourish. Mentioning AGW raises my blood pressure! Global warming shall cause the USA to lose the FIFA World Cup! America has never won in a year this hot. That’s a fact, Jack. Look it up. You win the “Correlation Is Causation” Award! 1. Induce very warm weather for the Sochi Olympics as an act of political spite, vandalism and pure anti-sportsmanship. 2. Create the astonishing snow conditions in the Scottish mountains this winter, with snow depths more akin to the top of Mt Blanc than the top of Glencoe Ski Area. 3. Create the drought in California to try and break the political stranglehold of people they consider to be ‘anti-capitalist’. 4. Create the recent floods in the Balkans. 5. Create the stupendously cold US winter this year. 6. Modulate the ionosphere to create the glut of Sudden Stratospheric Warming events in the past few years. 7. Disable the controls of MH370 mid flight as an act of terrorism against, primarily, the Peoples Republic of China. 8. Take over the controls of the two planes which flew into the twin towers on 9/11. 9. Trigger the Tsunami which devastated a Japanese nuclear reactor. 10. Trigger the Boxing Day tsunami which wiped out the lives of so many in SE Asia. 11. Manipulation of African rain patterns for the purposes of inducing drought, agricultural crop failure and subsequent dependency on US ‘benevolence’. 12. Modulate jet stream patterns in controlled or uncontrolled ways ‘just because they can’: a demonstration of the potential for pure evil, without quite crossing the rubicon. In all this pfaff about making things up, it is about time that the world started examining and scrutinising the technology which potentially can do unlimited harm if in the wrong hands (which includes the US military if their leaders are morally defective, master race supremacists or simply inhuman animals). For those who haven’t heard of HAARP, it stands for High-frequency Active Auroral Research Program, which aims to use focussed pulses of electromagnetic radiation targeted at specific areas of the earths atmosphere to do who knows what. It is likely that experiments have already been undertaken and you, the citizens of the world, have most assuredly NOT GIVEN YOUR CONSENT FOR SUCH DANGEROUS EXPERIMENTS TO BE CARRIED OUT. Not that such democratic niceties bother the ‘elite’ of the world. They think they are above you lot. MORE EDUCATED. The truth is that they are simply more ruthless, have more access to power and have fewer scruples than most about what they do with that power. Let us be clear: if you change global climate in either controlled or uncontrolled ways as a sovereign nation state, you are affecting the living conditions and potential health and prosperity of every other nation on earth. That makes it, per se, an act of war. You have deliberately sought to manipulate climate or other matters within the sovereign airspace of another country and that is akin to using chemical or biological weapons if what you do is particularly harmful. There are protocols about biological, chemical and nuclear weapons and the USA is rather more voluble than most about countries such as Iran not being allowed to access them. it therefore behoves the USA not to be using HAARP for climate control without the express consent of the world, for which no mechanism currently exists, so they had better not have been doing so. I am sure that they are not, as they tell the world every day how they are ‘the greatest democracy in the world’ and ‘the greatest democracy in the world’ would never do such things without consulting with all the citizens of the world on a matter which affects them all. The USA, using HAARP ‘technology’, was responsible for all those things??? Thanks for being sooooo well informed about the US HAARP technology! Your post was ….. entertaining. HAARP? Isn’t that what the Art Bell/ Tinfoil hat crowd are in to? There are broadly two kinds of people – this is universal across all humanity. Producers at one extreme and Rentiers at the other – with most people falling somewhere in between. There are those who just get on with things, work hard and produce (producers) and then there are the lazy others that find every excuse possible for why things aren’t easy or as good or how they would like, and why those that work and produce need to change or contribute to help make it easier for the others (Rentiers). Those who believe that measures must be taken to stop global warming are the lazy type – the Rentiers feel they are owed something by those that produce. The Rentiers devote large amounts of thought and energy on how to control the producers through rent for their industrious activities. Rentiers are always thinking up ways to gain rent from any productive activity. It works everywhere. Even in family. The most highly industrious family member is obliged by the rest of the family to pay rent to the lazy unlucky “helpless” ones. This form of Rent is required to be paid for the privilege of having blood relations. In the case of global warming, the logic runs along the lines of those that produce must remunerate those who don’t because the producers “harm” or “use up” the collective environment or natural resource of the planet (which belongs to everyone). Global warming has absolutely nothing to do with science – it is only & entirely about redistribution of wealth from productive activity. Therefore nothing that Rentiers say or claim will make any sense unless viewed from the perspective that lazy types continue to come up with excuses/justifications to expropriate & redistribute wealth from hard working types. and there is an abundance of rock snot in West Virginia streams and not enough tissues to deal with it. This was familiar to me where I grew up in the late 40s, early 50s. The color and texture was exactly as described. It did appear to stunt fish size, but crawdads were plentiful and good sized. Didymosphenia geminata [scientific name for Rock Snot] is expanding its geographic range. Historically, this diatom occurred mostly in northern latitudes in low nutrient waters; now it occurs in more nutrient-rich water and at lower latitudes. Now if the spread of Didymosphenia geminata was due to warming, wouldn’t in be moving to higher latitudes instead of lower latitudes? Now do a compensatory one. Funny cartoons by Josh and others. You want the full monty? You see, here in the US, women got the vote which was followed by Prohibition which was followed by The Great Depression which was followed WWII which was ended by the ultimate PMS, The Atom Bomb. And now Congress can’t balance it’s checkbook. Could summertime be caused by global warming? The more I read about HAARP the more I’m concerned. It can be used to create a class of chemicals, Partially Ionized Atmospheric Nitrous Oxides, that could wreak havoc on civilization. In fact, it’s been rumored that HAARP and PIANO could be used in concert with Oxygen Based Organic Esters (OBOE) that would cause a truly ill wind for us all. Trust me, you don’t want to go there. Dog meat was good enough for our President. America has never won in a year this hot. Oh dang. All this time I thought America has never won it in cold years. I must’ve looked it up on Wikipedia. I tried to warn the author, then you chimed in. You won’t win that fight, a quick death will seem to be a blessing. I deal with rock snot by putting felt on the bottom of my waders. It usually works well enough to maintain grip and balance. Something the media might find useful when considering reality. I’m pretty sure that Global Warming causes bad grammar. The increase in bad grammar during the twentieth century correlates closely with the increase in temperatures. However, I haven’t seen a “pause” in the rise of bad grammar. This suggests, first, that it is not bad grammar that causes Global Warming, and, second, that it takes there is a time lag of several years between Global Warming and its effect on grammar. And here we are again with this argument and here is the answer. I got a new one. Someone will blame the missing IRS emails on global warming. Very funny! But sadly, true. CAGW could definitely affect your retirement funds, unless u tell your fund managers u want no prt in this scam! The hope in political and academic circles is that increasing the transparency around pension funds’ exposure to carbon-intensive industries such as coal and oil will make them more aware of the risks and encourage them to invest elsewhere. From September, more than 1,000 UK-based companies listed on the main exchanges will have to report their carbon emissions in their annual reports, says Mr Simpson. The European Union has also recently drawn up its accounting directive, which will require more than 6,000 companies to report regularly on environmental, social and governance factors from 2016. In 2011, the Securities and Exchange Commission, the US regulator, issued guidance encouraging companies to publish their climate risk in their 10-k filings (documents that detail a company’s performance on an annual basis). ***An asset manager who counts many pension funds among his clients, says: “Pension funds generally don’t worry about [carbon exposure] at all – it is just not something they associate with being an investment risk. He adds that forcing big investors to publish their exposure through regulatory initiatives could cause friction within the pension fund community. Won’t name names, but the guy who validates carbon projects and environmental schemes for the world bank at its Sydney office and for auditors like TUV says with a straight face that 180,000 people a year are directly killed in war each year due to climate change. This is the man who wields the fatal vote on whether real businesses get real credit for real environmental work. They rarely get through the net without being coerced into hiring a brace of rentseekers. On the other hand those part of the international bureaucrat parasite class get waved through every time even if their documentation is lacking. Waved through an audit process. With document problems. It’s the economic equivalent of an open borders policy. dang uk you got me I thought the same thing POTUS grew (threw?) up on that. I never realized being that close to danger. I think North Korea may be the environmentalist-progressive poster state. The population is starved of resources and energy. Because of malnutrition, the people are smaller in stature. Smaller people use less resource, thus reducing carbon pollution even further. The population is tightly controlled and the average person is little more than a peasant. Anybody who dissents is reeducated–for life–along with their families. News is controlled by the state. The only religion allowed is the official state religion of worshipping dear leader, with every organ of the state itself serving as the priesthood. People are taught not to want more. Consumerism, corporatism and capitalism are non-existent. Only the elites enjoy comfortable lives. Sorry, Congress can’t do anything about what the EPA does as long as Obama is in the White House and Reid controls the Senate. We see this as an obvious fact when the House passed the “Audit the Fed” bill back in 2012 and it has yet to see the light of day in the Senate. And should that actually find the floor and pass, it won’t gather the President’s signature and you can bet there isn’t enough Congressional support to override his veto. Onlyway your could would be with paper ballots and a true opposition party – a third choice, and not one vetted by TPTB. 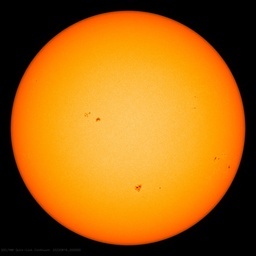 It should now be obvious to all that the Sun is the culprit and we need to begin work immediately to restrict, reduce and regulate the blatantly harmful fluctuations of solar activity and legislate taxation globally to combat this solar system scale problem. Indeed other planets in the solar system may benefit from our efforts to control and stabilize this out of control gaseous giant and thank us for it later. I mean we just don’t know, do we. Let’s take the natural out of nature now! – Down with the Sun! – Think Solar act Global! On SkS they say that humans don’t actually breathe out any carbon dioxide. Whether you believe in global warming, which will require more use of electricity for cooling or that recent cold and snowy Winters will cause a continuation of increased demand for energy for residential heating, the absolute worst thing you can do is make these sources of energy much more expensive. Shutting down coal fired generation of power/electricity, by design is causing exactly the opposite effect of what we need. This is one of the biggest counterproductive and ruinous policies in history.